Hafa Adai is a Chamorro phrase which means “Hello” or “What’s Up?” in Guam. Pronounced as “half a day”, it’s very common that you hear this whenever you meet local citizens in stores, restaurants, and hotels. You’ll encounter this multiple times a day and it’s quite easy to respond to people with the same greeting. 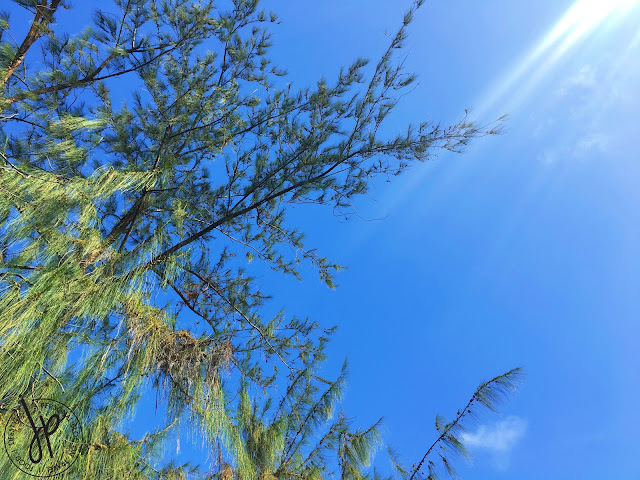 Now that you’ve brushed up on your basic Chamorro phrase, let me guide you through these 12 useful tips on where to stay, where to eat, how to go around, and how to save money when you travel to Guam. 1. Pick the right airline for your travel. Often times, people book flights whenever there are promo fares available. But what if you miss out on sale flights? When picking an airline, make sure that aside from the fare itself, you must also consider your (a) schedule, (b) main purpose of visit, and (c) baggage allowance. First, not all airlines fly daily to Guam and there are flights which have better schedule when it comes to aircraft departure and arrival. Second, determine if your purpose of travel is mainly for sightseeing or for shopping. If it’s the former, you’re probably good with taking a low-cost carrier so you can save on baggage fees (i.e. Cebu Pacific). 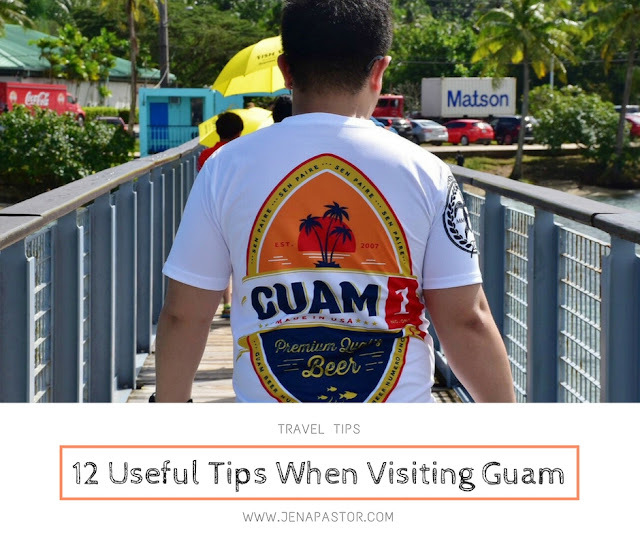 And finally, if you think you’re going to Guam for a major shopping spree, it’s better to get a flight that allows you to check-in two pieces of luggage as part of your basic airfare package (i.e. Philippine Airlines). 2. Carry additional luggage and pre-book extra baggage. If you spare a day or two in Guam for shopping, chances are you’ll be filling up your luggage quickly. It’s very difficult to resist shopping there, as this is one of the most sought-after activities. Believe me when I say an extra suitcase (or two) comes in handy. We have companions who needed to buy suitcases at Ross and Macy’s because they didn’t expect to enjoy shopping in Guam. In line with this, if you think your baggage allowance is not enough, it’s better to upsize and pre-book your bags than pay for expensive over baggage fees at the airport. 3. Book accommodation at least 6 months in advance. When I went to Guam three years ago, it was pretty easy to book a beach front hotel, two or three months prior to our arrival. 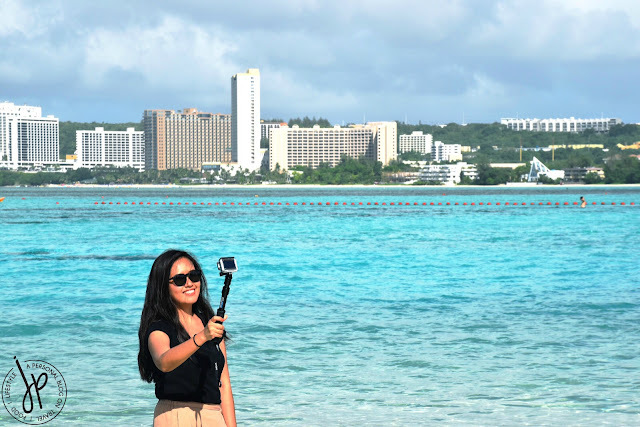 Because there was an increase in the number of flights to Guam coming from Southeast and North Asia, many tourists fly to Guam whichever time of the year! Believe it or not, even rooms that cost more than Php 12,000 per night were sold out. So if you want a beach front accommodation or somewhere near the tourist and shopping locations at “cheap” prices, book your rooms as early as 6 months before your arrival. Look for hotels accessible from Pale San Vitores Road and have direct access to Gun Beach and Tumon Bay so you can enjoy both shopping and water activities. 4. Use free shuttle service. In 2016, Guam Premier Outlets and Tumon Sands Plaza launched a free shuttle service for customers going to GPO and TSP. The shuttle passes by the main road Pale San Vitores, with a couple of stops before reaching GPO or Tumon Sands. 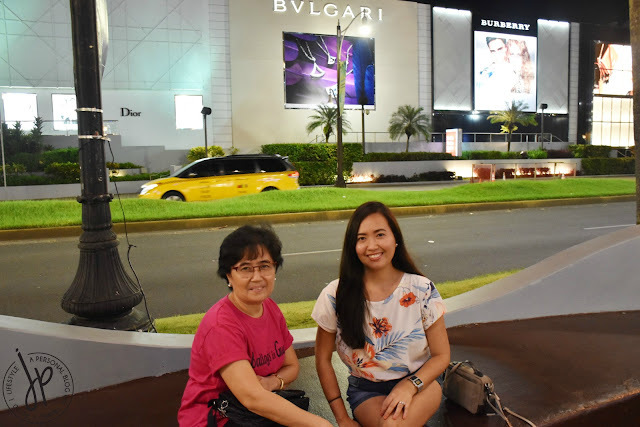 When we stayed at Royal Orchid Hotel, we just crossed the opposite side of the road at Pacific Islands Club (PIC) bus stop and waited for the yellow bus going to GPO. The bus is very spacious and comfortable. You can save about $15 one-way (3.3km) just by riding the free shuttle service. 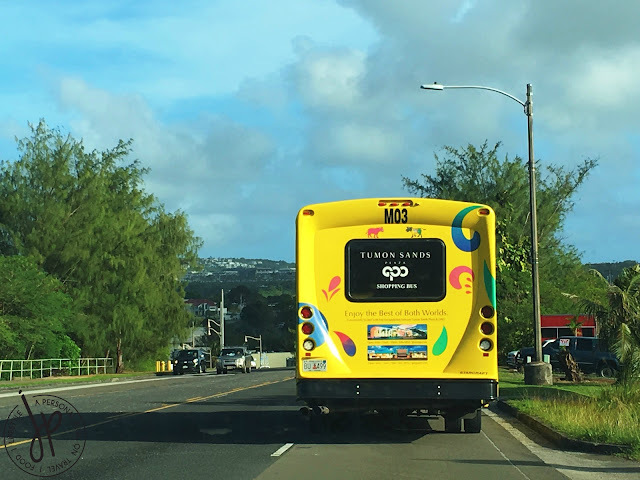 There’s also another yellow bus that extends the service from Tumon Sands Plaza to Lotte Hotel, as there have been many Korean tourists in Guam lately as compared to three years ago. GPO-TSP Shuttle Service Map and Schedule. 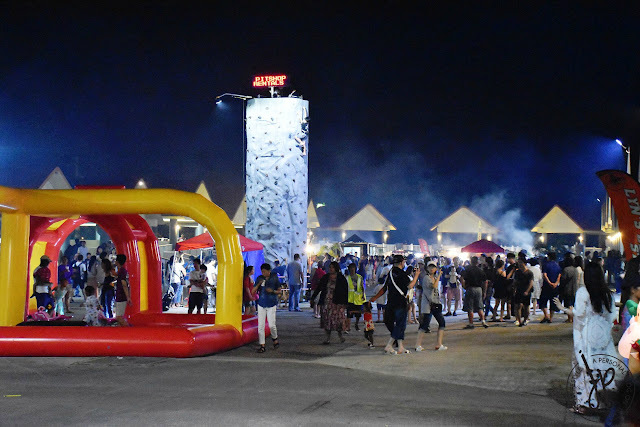 Image from GPOGuam.com. 5. Purchase a local sim card. I don’t usually buy a prepaid sim card when I travel abroad, especially if it’s only for a short trip, but I find buying a sim card in Guam is very useful and convenient. Because we arrived in a large group, everybody had their own agenda and travel itinerary, so it’s easier to schedule and contact people to meet up for lunch or dinner with a use of a local number. In addition, not all locations in Guam have free wifi so the data that comes with the prepaid sim is such a big help for tourists. I bought the sim card for $20 at GTA in Micronesia Mall (they also have a booth in GPO) and it’s valid for 7 days. There’s no need to register your mobile number, but I suggest you let the staff set-up your newly-acquired sim on your phone. We also used the mobile number to register as a VIP member at Foot Locker. 6. Book tours and family friendly activities. Despite being a small island, there are many things to do in Guam. Friends can do skydive, drink at sunset beach parties, enjoy the thrilling Slingshot, and watch Las Vegas style theatre at the SandCastle. 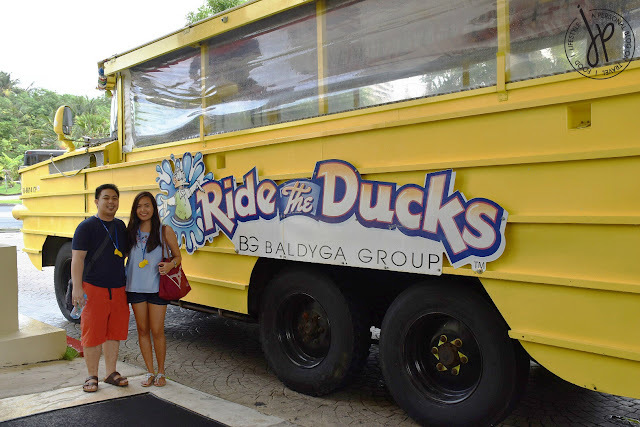 On the other hand, families with small children can enjoy Underwater World, a tunnel-aquarium experience, as well as the Ride the Ducks amphibian, bringing tourists around Guam on land and on water in one vehicle. These attractions usually have tour desks at hotel lobbies, so you can book them when you’re already in Guam. 7. Enjoy public beaches, picnic spots, and tourist attractions for free. On a budget? 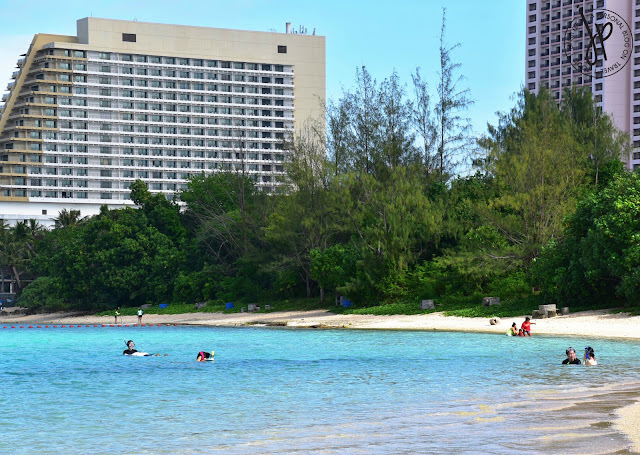 Guam has public beaches where you can swim and enjoy the clear water, even if your accommodation is not a beach-front facility. Ypao Beach Park is easily accessible from Pale San Vitores Road and there are public showers where you can wash off the sand on your hair and feet. Just before Ypao Beach Park is Gov. Joseph Flores Beach Park where you can grill and enjoy picnic with your family. Both parks have gazebos with tables and chairs. 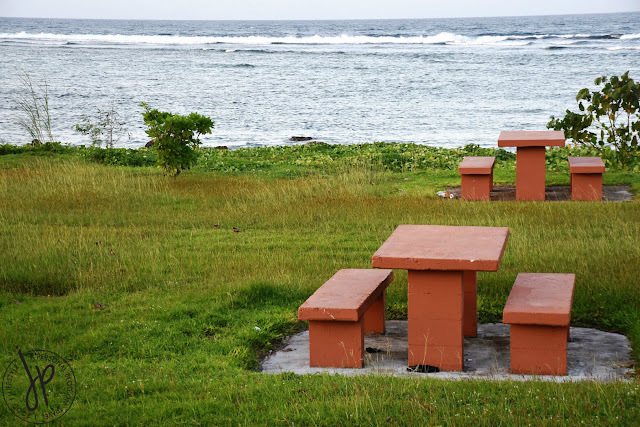 In addition, if you drive along Highway 1, you’ll find concrete picnic tables along the shoreline with the view of the sea. You can also use them for free. 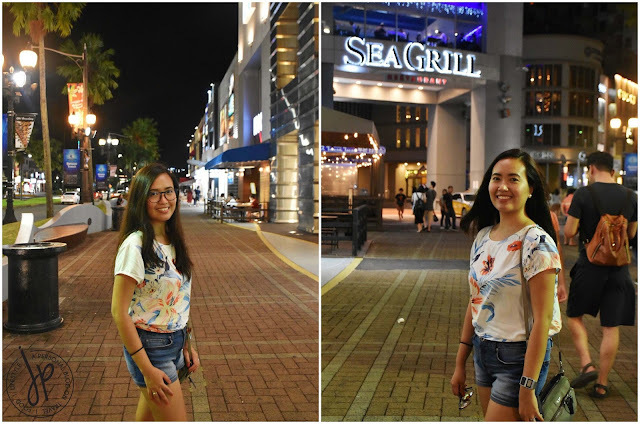 To enjoy the cool breeze at night, there’s a short shopping strip along Pale San Vitores Road that starts from The Plaza Shopping Center, to Outrigger Guam Beach Resort, and Underwater World, and up to ABC Stores where you can window shop and people watch from one of the concrete benches. 8. Use different means of transportation. There are several means of transportation in Guam. First is the bus, which costs $4 per way. If you see the red shopping mall shuttle, that goes directly to Micronesia Mall. It’s not the most convenient and fastest means of transport but if you’re traveling alone, you might need to learn how to go around Guam with a bus (more helpful information about the bus here). Red Guahan Bus. Image from www.gpoguam.com. Second is the LeaLea shuttle bus, which is much more convenient than the Red Guahan bus. LeaLea has several buses and they’re constantly visible on every bus stop. Their kiosk stands at GPO where they sell passes for specific number of days, depending on your travel needs. Third is the reliable taxi. From your hotel, you can ask the reception to call a taxi for you. At Kmart for instance, you won’t see a taxi line outside, but there’s a booth where you can book a taxi and where you can see the fare chart. It’s not the cheapest transportation when you travel on your own or as a couple, but the price is reasonable for a group of four. Luke picked us up at Royal Orchid Hotel and dropped us off at Micronesia Mall. He's Filipino-American, so you can converse with him either in English or Ilocano. You can also call him in advance for airport transfers. 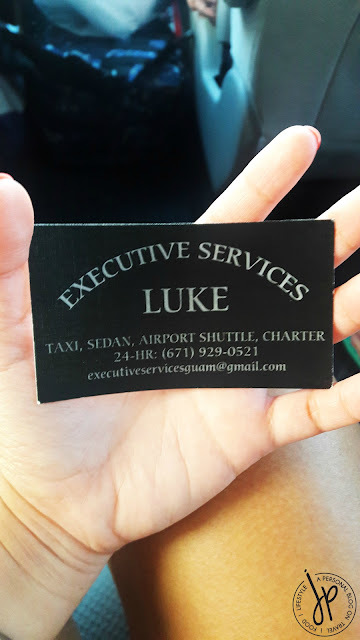 Finally, the most convenient means of transportation in Guam is via private car. There are many rent-a-car services in Guam and you don’t need an international driver’s license to be able to rent one. Usually a company has several vehicles which you can rent for 3, 6, or 24 hours and the price range varies depending on the type of vehicle you want to drive (sedan, sports car, SUV, etc). We rented a Mazda 3 for 24 hours for $58 at EZ Rent a Car and my husband drove us around Guam with his Philippine driver’s license. Whether you want to drive a Camaro, a Mustang, or just a simple sedan-type car, always remember to follow road rules, leave no stains on car upholstery, and return the vehicle with the tank full and in good condition. 9. Eat in as many restaurants as you want. 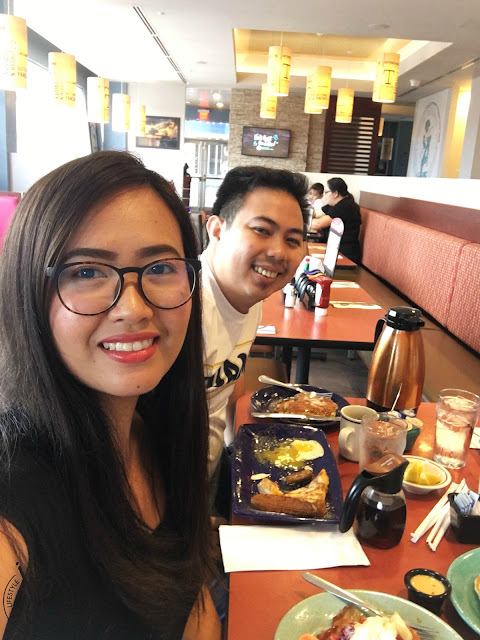 Because the island is a melting pot of Chamorro, American, Filipino, Korean, and Japanese cultures, you’ll find many different restaurants catering to such cuisines in Guam. You’ll never run out of places to eat and most of them are open until 9:00 PM. One of the most popular restaurants is Fuji Ichiban Ramen, which is open for 24 hours. You’ll find their parking spaces easily occupied whatever time of day. It’s so famous that you’ll notice other nearby establishments with parking spaces show prejudice over Fuji Ichiban customers. 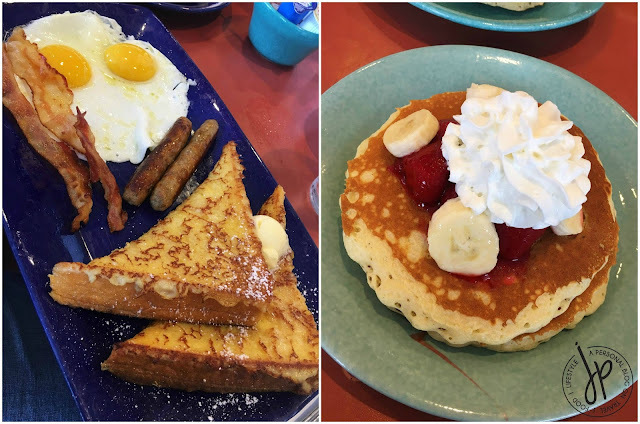 Near GPO is IHOP if you’re craving for pancakes and American breakfast menu. If you’re looking for affordable Korean fast food, there’s Mom’s Bop Burger which is quite popular in Guam. They serve rice burger and chicken appetizers, but what I usually buy from their store (near Royal Orchid Hotel) is their Fish Cake Soup and Bulgogi Cup Bop. But our most favorite restaurant in Guam (so far) which I highly recommend is Applebee’s. It’s near GPO and IHOP and they cater to clients until 11:00 PM. It’s the quintessential American bar and grill, and the food selection screams delectable goodness. 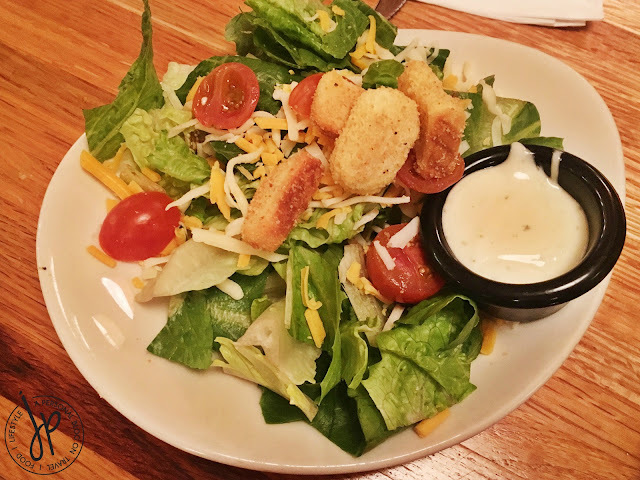 You can choose from a wide variety of carbonated and alcoholic drinks, desserts, food under 600 calories, countless appetizers, handcrafted burgers, ribs, and steaks. 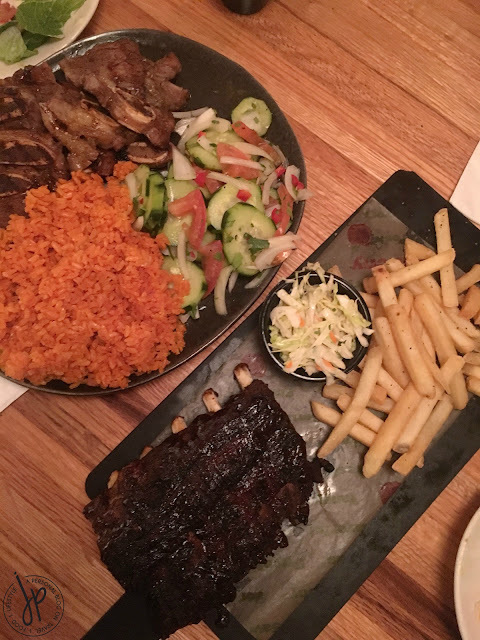 We had Double-Glazed Baby Back Ribs with refillable fries, and another pork dish served with rice and that sumptuous cucumber salad on the side. 10. Buy Souvenir and Snacks at ABC Stores. 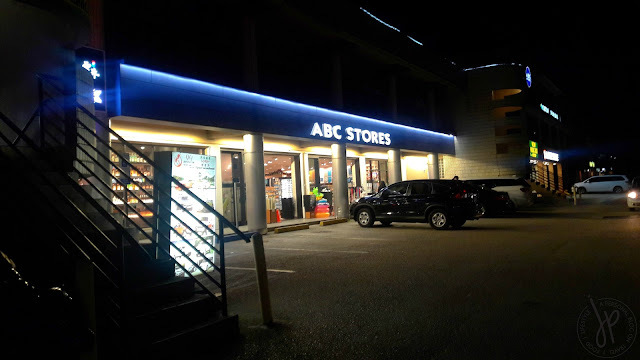 ABC Stores is a convenience store chain based in Hawaii and is highly common in Guam. You’ll find ABC Stores spread out in many different locations, usually in touristy places. Though a bit pricey, they have more selections and better quality souvenirs, drugstore makeup and beauty essentials, as well as chocolates. In bigger branches such as the one beside Royal Orchid Hotel, the store sells packed food and drinks and the said branch is open until 1:00 AM. 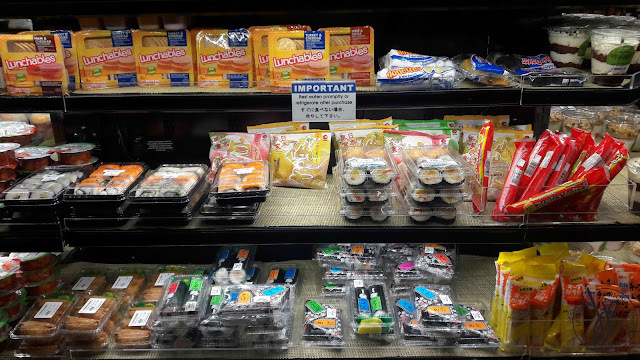 At the food section, you can buy sushi, sausage, kimchi, and a pack of crackers, ham, and cheese. 11. 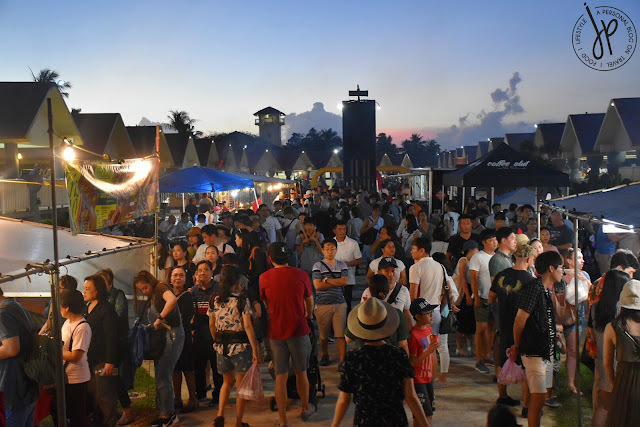 Dine and shop at Chamorro Village on Wednesday night. 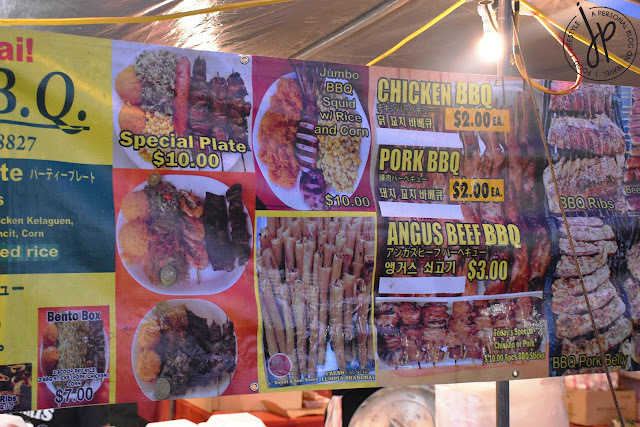 Chamorro Village at Agana is open daily, but it’s mostly popular for their Wednesday Night Market. Plenty of people come here starting at 5:00 PM so they can get a good parking spot. 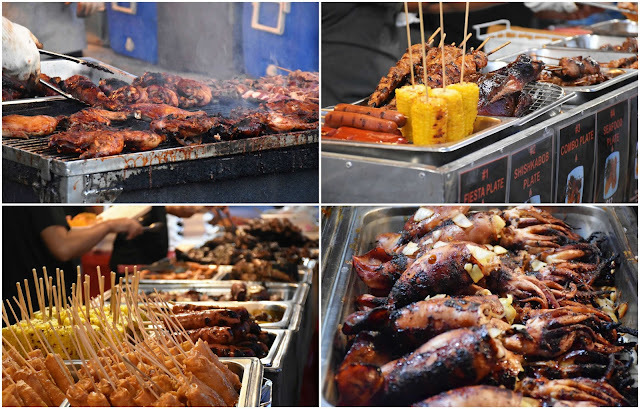 By 6:00 PM, people start lining up at barbecue stands, drinks stations, and other food kiosks. Prices are very reasonable and the serving size can be shared by two people. The shopping area is a bazaar or tiangge style market selling souvenirs, beach clothes, accessories, and other miscellaneous items. 12. Check-in online and go to the airport early. Finally, remember to click that web check-in button a day before your intended departure so you don’t get stuck waiting for your turn at the check-in counter. If you’re flying to the Philippines from Guam, there’s a big chance you’ll encounter OFWs lining up with multiple check-in baggage and balikbayan boxes. It’s definitely more efficient and hassle-free to go straight to baggage drop-off points once you’ve checked-in online. And if you fail to do so, just go the airport early – at least 3 hours before your flight – so you have enough time to eat, do last minute shopping, and relax. Got any questions about traveling to Guam? Leave me a comment down below!